This form should be used by persons seeking to re-home their pets. We are aware this form is long and can seem intimidating. Please know that it is in the best interest of your pet to fill it out as completely as possible. This form can be used for multiple pets. Please fill out each section individually then select "yes" when asked if you have another pet to surrender. Maximum of 3 pets per form. PLEASE NOTE: The intake process requires a scheduled behavior/medical evaluation to be performed by a PAWS staff member for each animal before they are eligible for our adoption program. Please be as descriptive as possible. The more information provided, the better chance we have at finding a suitable home for this pet. Additionally, detailed information may expedite the surrender process. Please approximate if you are unsure. If the dog is a mixed breed, please list which breeds the dog most closely resembles. Where did you originally get this pet? ***Austin Pets Alive! will take back any adopted pet if the adoption does not work out for any reason. Please e-mail adopt@austinpetsalive.org to start the return process. Please specify the problem you are having with your pet so they can assist you quickly. Please upload a photo (or photos) of your pet. Which vaccinations have been given to this pet? What was the result of the Heartworm Test? What was the result of the Feline Leukemia Test? What was the result of the FIV Test? Does this pet have any current or previous special or medical issues? Please provide honest and detailed information. These answers provide us with important information that will allow us to find appropriate homes and are not necessarily used to determine eligibility. Please include energy level, quirks, likes and dislikes, anxiety or fear issues, etc. N/A. This dog gets along with everything. N/A. This cat gets along with everything. Do you have another pet to surrender? PAWS SHELTER OF CENTRAL TEXAS is a non-profit, No Kill shelter and runs entirely on donations to care for its animals. A $55 minimum donation is required for owner surrenders. By submitting this form, I am stating that all above information contained in this form is complete and true and understand that I have begun the process of relinquishing ownership of this/these animals to PAWS Shelter of Central Texas. 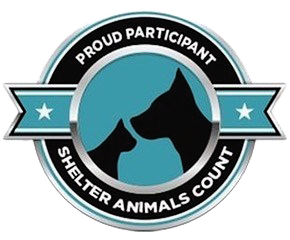 I also understand that PAWS Shelter of Central Texas requires a behavior evaluation for each pet before completing the surrender process and by no means guarantees that this/these animals will be accepted into their adoption program upon completion.